As many of you may have heard Nvidia has recently started offering 3rd-Party manufacturers the chance to joining their exclusive partner program. 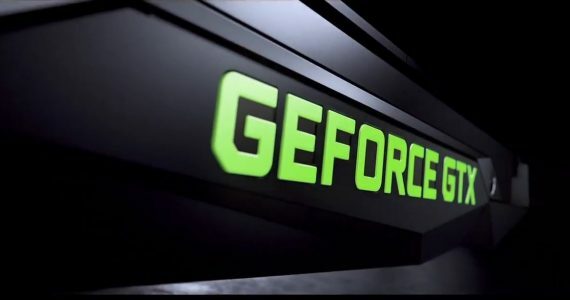 The Geforce PartnerForce Program(GPP) offers these manufacturers a leg up on their competition that do not sign up for the program. These benefits include, Nvidia sales and technical support teams to assist product development. Exclusive access to Sales and Marketing tools, such as benchmarks and data sheets for new video cards. Now you may be thinking: “How is this illegal, it all seems pretty straightforward?” Well the thing is there have been rumors that as part of the GPP, Nvidia will have exclusive rights to card manufacturer’s “Gaming” series line of products. For example Asus has the “Republic of Gamers”(ROG) line of product, this product line features both AMD and Nvidia cards. If the rumors are true and Nvidia gets exclusive rights to the ROG line, then the AMD cards that ASUS manufactures would not be allowed to be featured as part of the ROG line of products. This creates a sort of “Power Imbalance” in the Video Card market. Avid enthusiasts and hardware builders know what to look for when buying parts for computers, however market research has shown that two identically performing cards have a vast difference in sales. With the card having just the word “Gaming” on the packaging that card sold more often, and at a higher price. So where does the “illegal” portion come into play? By requiring exclusive rights to the Gaming product line, that’s omitting the opportunity for competitors like AMD to have equal access to a manufacturers products. This creates a pseudo-monopoly for Nvidia in the Gaming market. As most first time builders looking to build a gaming system, will gravitate more towards the “Gaming” brand simply because of that word. If only Nvidia cards are allowed to be labeled as “Gaming” from GPP participants, then comparable AMD video cards will eventually fall to the wayside as “inferior”. You can read more about the GPP here, and find the source of the rumors here. Frankenstein Computers has been taking care of our happy clients since 1999. We specialize in IT Support, IT Service, MAC repair, PC Repair, Virus Removal, and much more.